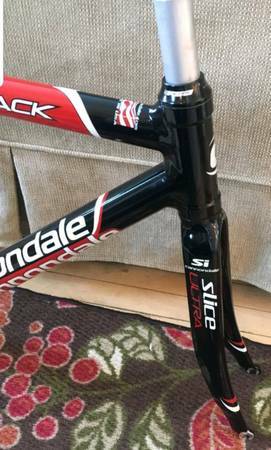 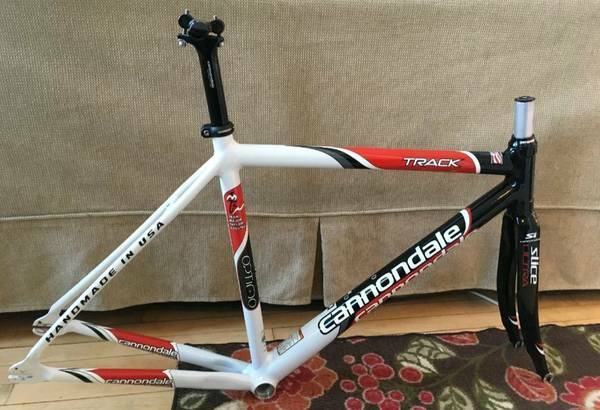 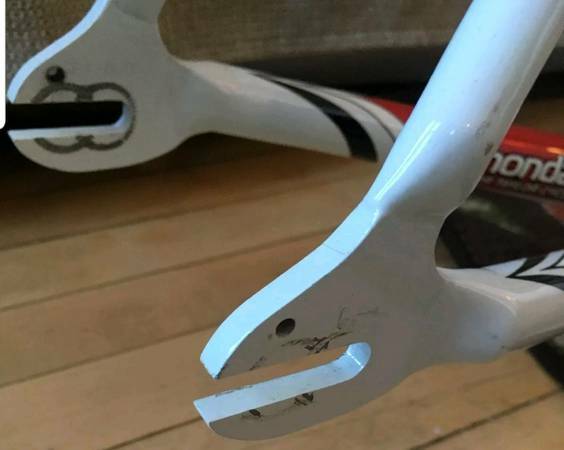 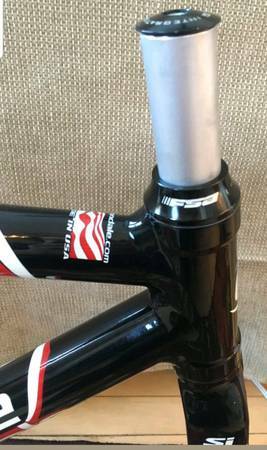 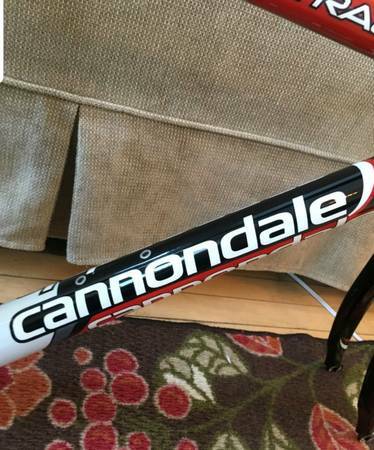 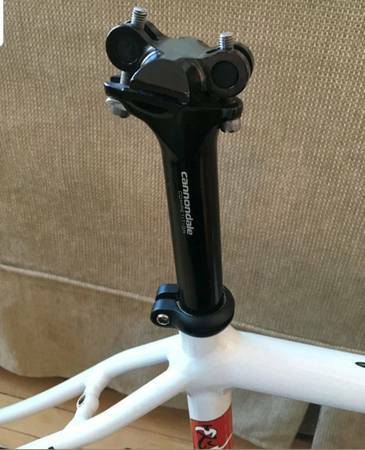 Cannondale Major Taylor Track Frame 48cm - comes w/ fork, headset, and seatpost. 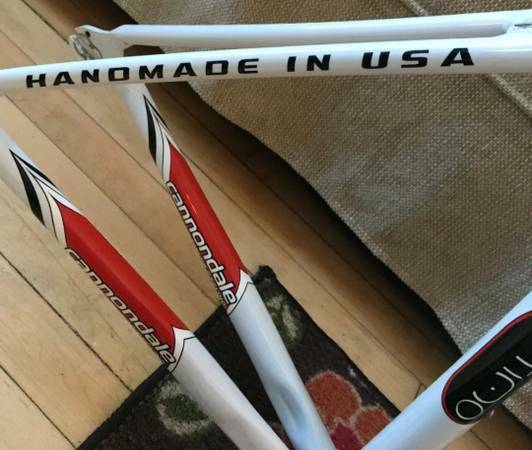 Handmade in the USA using aluminium during the early 2000s. 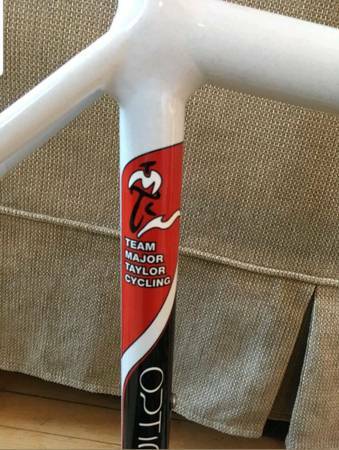 This frame has beautiful paintwork with a few minor nicks, but no dents or notable scratches.